The Capstone Turbine Corporation of the USA produce micro gas turbines or microturbines, principally these are intended for stationary electrical power generation but not exclusively, some units have been fitted to electric vehicles as range extenders. The Capstone models are like no other turbo-machinery currently on sale anywhere in the world, they have tackled a multitude of technical, efficiency and manufacturing issues and although expensive they’ve come up with an innovative and elegant solution. Until now only one other company has developed or sold anything equivalent that is in production today, but Capstone could be poised to have a competitor or be it of lower power the new Bladon MTG12. In the past the companies Honeywell, Ingersoll-Rand, Elliott, Bowman Power Systems and the Turbogenset Company produced small microturbine turbo-generators but none of them are still in the game today. Newer companies in the automotive sector such as Delta Motor-sport and Wright Speed appear to be in development stages of microturbine range extenders but they don’t appear close to volume production of any kind. Bladon Jets a Coventry based company began claiming to develop micro gas turbines in and around 2010, it was announced to the world that Jaguar cars in partnership with Bladon Jets were exploring the possibility of powering an all-electric drive hybrid “supercar” with small gas turbines and batteries as the power source. A striking and ambitious concept car was build and exhibited. Around this was centred much hype and a technical naive and a gullible motoring press willingly published the claims that were made for it without question. The real question is, was the car at all feasible and Jaguar quickly dropped the idea in favour of a piston engine generator equipped car but even this has yet to see the light of day. 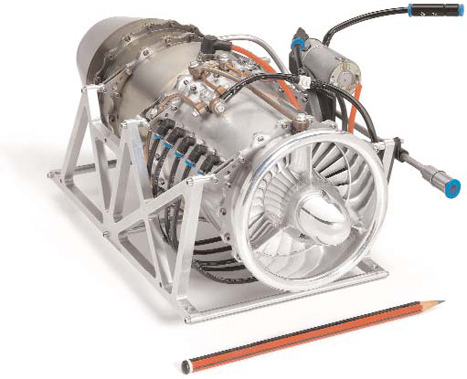 Bladon jets continued to promote micro gas turbines on their website at least, and, an alternative application was proposed; A power source for remote telecoms infrastructure (mobile phone masts) in developing countries such as Africa. 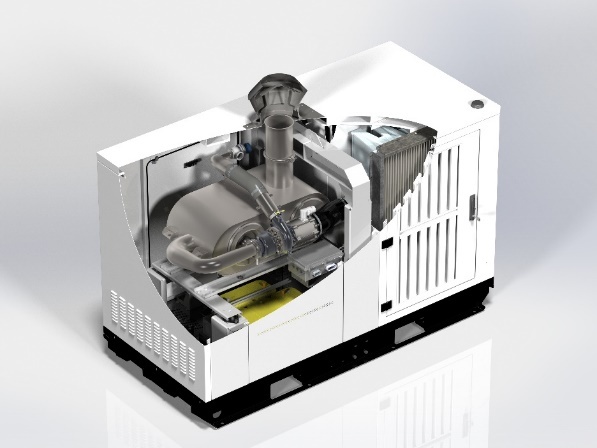 So began the development of the MTG12 a 12Kw stand-alone microturbine generator that could replace the equivalent diesel unit and bring several advantages to the user including lower cost of ownership and longer service intervals. This is no mean technical challenge requiring much expertise, an experienced and knowledgeable team and advance manufacturing facilities. It’s now 2018 so Bladon have been working on this project for some 8 years, and still there is no evidence of a product launch, any impending sales, or likely unit costs, but it is understood trials and durability tests of the hardware are being conducted on site with a potential customer. Significant investment by stake holders and grants have been awarded to Bladon, sooner or later a return will be needed? Millions of pounds have been so far spent on the project, the company as only in the development stage and not yet in volume manufacturing or selling turbines is making big losses! The gas turbine is a compact, lightweight but noisy power unit. Instead of the previous beefy 400hp (535kW) road-going turbine engines, Bladon Jets has opted for micro turbines. The two, small diameter single-shaft 95hp (127kW) gas turbines, without any heat exchanger, form part of a complex hybrid system. Jaguar claims zero emissions on electric drive and 28g/km of CO2 with turbines running. and whereas 60 years ago a 90hp (120kW) turbine engine weighed 62kg, Bladon Jets now talks of just 3kg – a twenty fold gain for an engine that could fit in a shoebox. Overall weight is 30kg. In the C-X75, each micro turbine is direct-coupled to a ground-breaking high-speed generator from SD Drives of Harrogate. These charge the batteries in range extender mode but can power directly the four 145kW (108bhp) wheel motors. The entire length of the rotating package is 500mm. According to Jaguar, the multi-fuel ultra-lightweight range extender (ULRE) offers a range of 560 miles on a single tank and reaches a top speed of 205 mile/h. In 2018 what has been produced today is much heavier and bulkier not really fulfilling the bold claims that were made those years ago! Not much information has so far been published on the MTG12, but it’s evolution in part has been documented on the Bladon website over the past few years and they now appear after a number of design changes to have settled on a pre-production unit. This unit could be reasonably compared to the Capstone C30 that although now itself an 18 year old design (it’s been around since 2000) still represents the state-of-the-art in high efficiency microturbine design. The Capstone and the Bladon are both examples of small high-speed turbo-machinery design and present similar technical challenges. The Bladon microturbine started life as a very different “animal”, an all axial-flow miniature turbo-jet engine was produced that featured in much press and media information promoted by Bladon and Jaguar. But has or did this engine really ever run? Claims were made regarding a “breakthrough” in development possibly a unique manufacturing technique that made production of very small compressor discs possible but really? 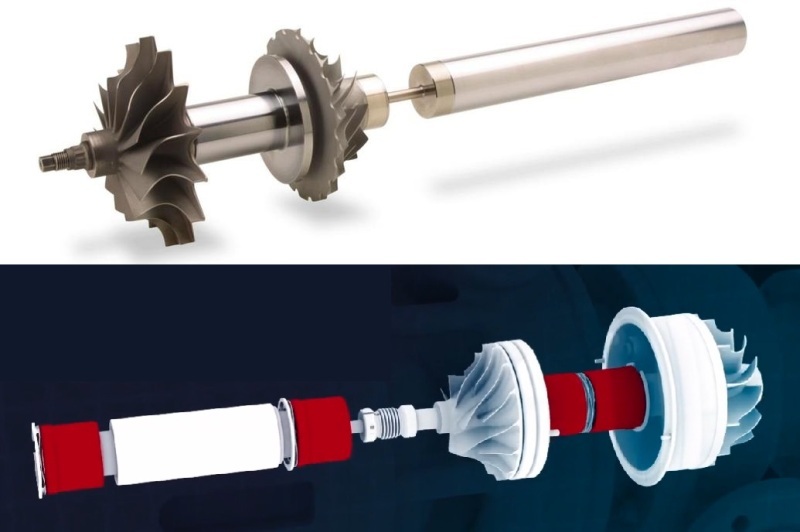 Today published illustrations show a disappointingly conventional turbo-machinery design much more like what could be expected with such a technology. The once revolutionary axial unit looks to be fading away, indeed the bold claims for it and the Jaguar super-car may serve to haunt Bladon in the future and may diminish their credibility. In fact “Bladon Jets” has just re-branded as Bladon Micro Turbines. 1. Main turbo-machinery rotor group. 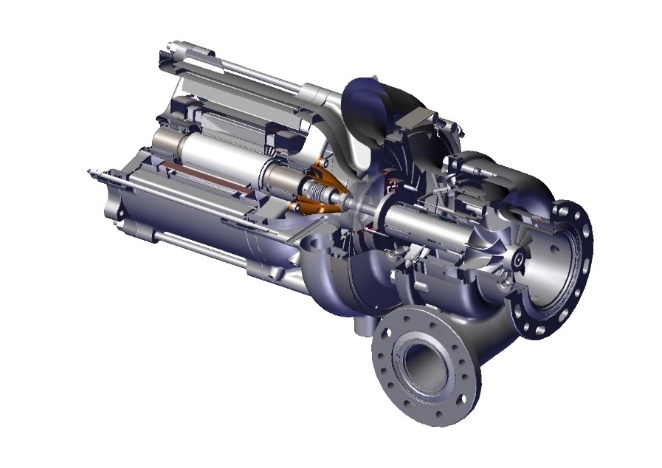 The heart of this power-plant consists of a turbo-charger style centrifugal compressor and radial in-flow turbine. It’s likely these components could be manufactured by a turbo-charger manufacturer but for a pre-production unit they may well have been made as bespoke prototypes. A far cry from the radical original miniature axial unit. Unlike the Capstone this assembly is mounted externally to the main recuperator body. 2. Bearings. Foil type air bearings are used in the rotor group and the electrical generator, the advantage of these are they require no external source of lubrication reducing maintenance costs and promoting long life. Like the Capstone the rotational dynamics of the rotor group and the generator are isolated from each other with a flexible coupling. Interestingly illustrations show the Bladon assemblies coupled with a standard industrial style flexible bellows type coupling with asymmetric locking screws- would this work satisfactorily at 145,000 rpm? Compared to the Capstone the coupling is complex and more-costly to manufacture, the Capstone appears to use just a simple shaft reduced in diameter. 3. Generator. This is likely to be a relatively straight forward high-speed synchronous unit with a permanent magnet rotor. It’s likely the generator like the Capstone is cooled by the incoming airflow in to the compressor. For starting the generator operates as a motor, achieving this presents a few electronic challenges. 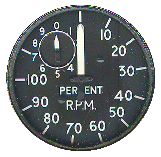 The rotation must be initiated and “commutated” to accelerate the rotor up to speed. On start-up the a Capstone can be seen “pulsing” the rotor to “jerk” it in two rotation and then positional information can be sensed from the resulting emf generated by the stationary generator windings. The generator is probably a two-pole unit for simplicity and ease of manufacturing so at 145,000 rpm the electrical frequency generated will be in the order of 2.4 KHz. The generator also serves as a convenient means of measuring the rotor rpm. 4. Recuperator. The heart of any microturbine unit is the recuperator and is perhaps the greatest technical challenge in terms of manufacturing and performance. The recuperator is a simple heat exchanger matrix that recycles the heat from the gas turbine exhaust and passes it back to the engine working cycle before combustion. By doing this it reduces the fuel burn and greatly improves the efficiency of the engine. The recuperator is a challenging unit to make. The recuperator often made form corrosion and heat resistant alloys or stainless steel. It needs to withstand thermal cycles, resist distortion and cracking with age and must also keep pressure losses and leaks to a minimum. For best efficiency it’s surface area must be large and so it ends up as a large cumbersome component. Over 50% of the weight and baulk of a Capstone until is made up by the recuperator. The recuperator is tricky to manufacture in volume and unlike the other technologies such as turbo-machinery and electronics is not a commonplace component in other industries. The recuperator is the achilles heel of any automotive gas turbine and has largely defeated most attempts at building one! The Capstone’s behaviour is largely defined by it’s recuperator, it’s large thermal mass requires it to require a special cool-down cycle. The trick is to run the engine at a constant as possible turbine outlet temperature and keep the temperature changes across the recuperator matrix as constant as possible. The engine runs at variable speed depending upon load, it’s likely the Bladon unit does this too. Running a conventional gas turbine at light load and at full speed is wasteful, most of the energy consumed simply drives it’s own compressor. Lowering the speed reduces this energy wastage and a greater proportion drives the load. This is only possible with a recuperated engine as the recuperator makes up for the loss in specific fuel consumption normally associated with non-recuperated engines e.g. aircraft or aero derivative engines. The Baldon recuperator design appears to surround the combustor can but is external to the turbo-machinery. The Capstone layout is much more integrated and simplifies construction and reduces cost. As with the Capstone the recuperator appears a bulky and heavy item and unlikely ever to fit in the boot of a sports car! 5. Combustor. Unlike the Capstone, the Bladon uses a single can type combustor, this is easiest to design and refine. It looks as if a single atomising liquid fuel (diesel or kerosene) burner is fitted at the head of the combustor. It’s likely provision of a pre-mix type gas burner could be provided at a later date for future natural or bio gas fired models. Ignition is most likely to feature a high-energy surface discharge type of plug similar to the Capstone. If long maintenance-free service life is required with frequent stop/starts the design of this component could require significant attention. High-energy igniters can suffer from erosion of the sparking tip if used frequently. 6. Accessories. Microturbine’s by the vary nature don’t feature any kind of reduction gearbox in order to reduce cost. The Capstone liquid fired unit cleverly uses a variable speed electric motor to simply meter the fuel flow in the engine. Bladon could adopt the same strategy, additional air or emulsifying techniques might be required to achieve the best clean burn and meet emission targets. The Capstone actually requires an external feed of compressed air to enhance the operation of the liquid fuel burner nozzles during start up. 7. Electronics. Once upon a time the electronics and power conversion architecture would require much development and refinement. Today power electronics and inverter switching technologies are very mature and powerful cheap semiconductor devices are available to construct proven and reliable power electronics. 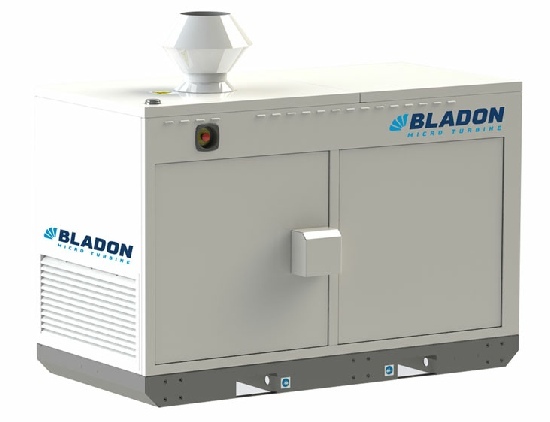 The Bladon unit at only 12Kw also requires only modest power conversion that will undoubtedly take a multi-phase high frequency current from generator and convert it to 50Hz or 60Hz single phase. The control system for the microturbine will consist of some type of embedded micro-controller, possibly running a high-level language with remote control and much engine health monitoring. Capstone developed their system many years ago and it features a system of “personality” modules to define engine types and they had their own communication protocol for commanding units. Any control system must of course be very reliable and not liable to malfunctions and crashes. Modern automotive systems use a robust communication system known as “Can Bus”, this is an automotive standard appropriate for this type of industrial control. It’s likely Bladon have adopted Can-bus in their products. 8. Battery. 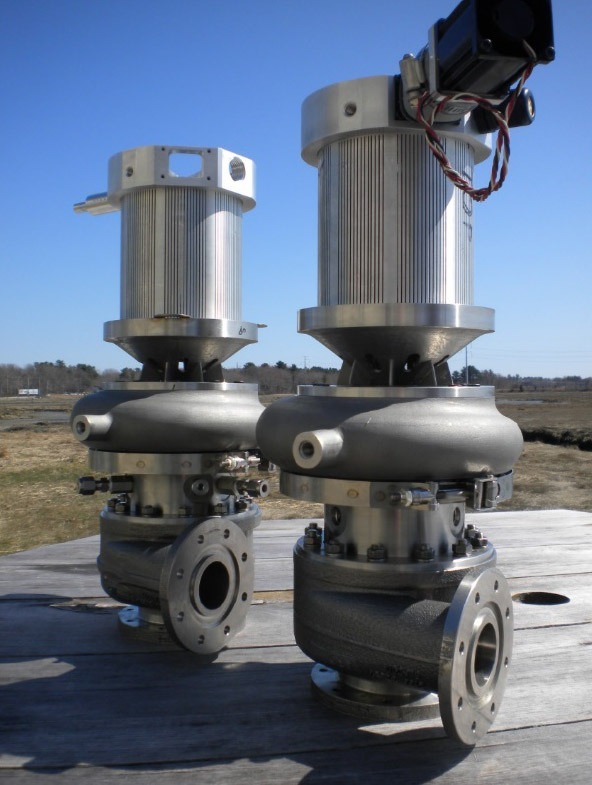 The Capstone microturbine requires a power source for starting but also a power sink is required to manage the flow of heat energy in and out of the recuperator. This may take the form of a battery or the external power grid in the case of a grid connected microturbine. The recuperator thermal mass is such that transient load changes e.g. from low to high or visa versa requires special management. It’s likely with a large recuperator the Bladon unit may require similar treatment. Also on shut down to reduce thermal stresses and promote long life the microturbine may run a motoring cycle to cool down and remove the stored heat from the recuperator. This is an unusual state of affairs and not found in other types of gas turbine! The Bladon unit is fitted with a 48V battery, 48V is a telecom power standard and can be found in telephone exchanges. The batteries are of sufficient capacity to start the microturbine but also briefly carry the load before the turbo-machinery and recuperator catches up. With this type of set up it makes almost more sense to the battery bank working as a type of uninterruptible power supply with the turbine topping them up as necessary. 9. Packaging. Packaging of the MTG12 appears to mimic the equivalent enclosed and silenced diesel engine of similar power output. Overall the package is disappointingly large and heavy for a power output of only 12Kw. A compact and lightweight power source of this kind could find many more applications, more akin to the original sports car power plant! Producing a product of this type is an immense and ambitions technical challenge, it has defeated a number of qualified and well resourced companies in the recent past. The World has seen few power plants produced at this scale and despite developers claims it is still waiting! The diesel engine reins supreme in this sector and is simple to manufacture, maintain and uses familiar and understood automotive technology. Microturbines are something completely different occupying only a niche market sector and a sector almost exclusively occupied by Capstone and arguably created by Capstone! So will the they get a competitor? We’ll shall see………..
A possible image of the Bladon microturbine turbo-machinery core. It appears a separate blower fan is mounted a right angles to the generator rear for cooling.